The Sequester That Wasn't Meant To Happen Begins : It's All Politics In the end, President Obama and other Democrats had less leverage than Republicans because of a fundamental asymmetry: Large federal spending cuts alarmed Democrats; Republicans, not so much. It was never supposed to happen, but now it has. With President Obama's signing of the order to commence the sequester spending cuts of $85 billion from this fiscal year's federal budget, what was once unthinkable is now hard reality. The indiscriminate, across-the-board spending cuts to the Defense Department and domestic programs were supposed to be so odious and harebrained that, of course, the president and Congress would agree on a more reasonable path to deficit reduction. In this, the parties obviously underestimated just how dysfunctional Washington is. Unfortunately, the use of the sequester appears to have been a major miscalculation. Certainly, this hasn't played out how the president would have preferred. Obama had counted on Republicans to be as protective of military spending as Democrats are of federal spending on the rest of government. But Republicans, who initially seemed unwilling to allow the defense cuts, gradually warmed to the idea that the sequester would, at the very least, get them $1.2 trillion in overall federal spending cuts over 10 years that they might not otherwise see. This was especially powerful for Republicans who have felt burned in the past by the history of Washington deficit-reduction deals, which raised taxes but failed to produce the agreed-on spending reductions. In the end, Obama and other Democrats had less leverage than Republicans because of a fundamental asymmetry: Large federal spending cuts alarmed Democrats; Republicans, not so much. And that was true not only because the GOP would get spending cuts that conform to its smaller government/lower tax identity. Republicans also gambled that they wouldn't face a massive public backlash from the sequester. Most Americans would barely notice, if at all, much of the reduced federal spending, the GOP has calculated. They may be right. As David Dayen wrote in a piece for the Pacific Standard, there are a number of reasons to believe that the impact of the sequester cuts will seem muted, if even noticed, by most Americans. Given how much the Obama administration warned of the potential disruptions to federal and private-sector workers, as well as programs reliant on federal money, in the run-up to the sequester, it would be surprising if the White House failed to highlight in coming days actual sequester horror stories. If anything seems safe to say at this point, it's that it will be a long time before another president agrees to a budget sequester on autopilot as a way to force Democrats and Republicans to compromise. 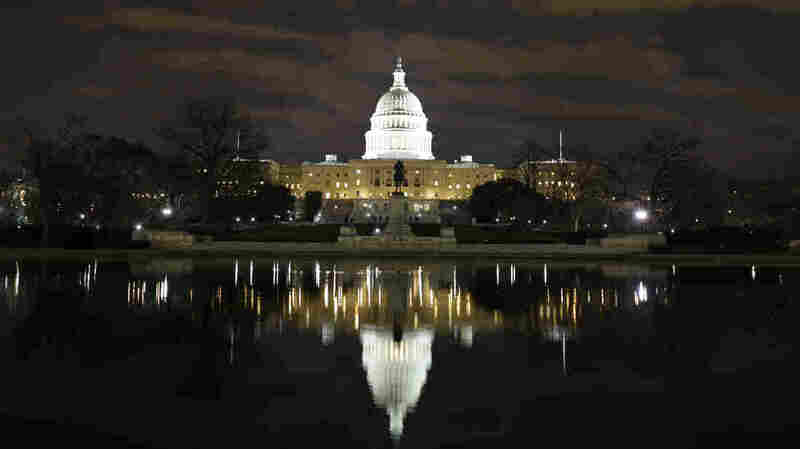 Now that the sequester has happened, attention shifts to the next key battle in Washington's ongoing, partisan fiscal war. At the end of March, Democrats and Republicans must agree on how to continue funding the overall government if it's not to shut down. Unlike the sequester, a government shutdown would likely be much more disruptive and noticeable to the average American — and politically damaging, especially to Republicans. So the talk on both sides now is that a shutdown is out of the question. Which sounds a lot like what they once said about the sequester.